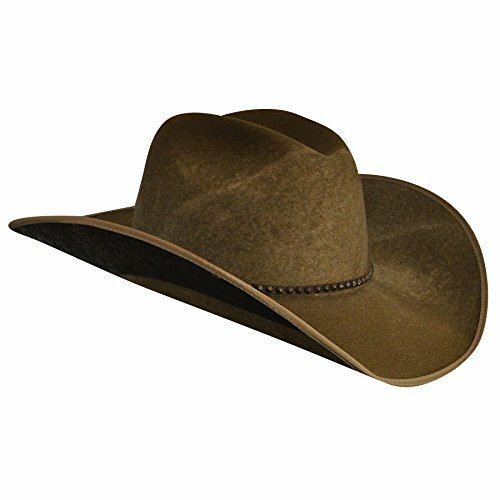 The Renegade by Bailey® Amelia Western Hat has great-looking subtle fashion points that will set you apart from the crowd! The Amelia's leather hatband features brass-colored metal stud details around the entirety of the hat, and it's paired with an amazing stamped leather underbrim. Made with quality materials and finished with a sweat-wicking Dri-Lex sweatband, the Amelia is ready to ride in style!